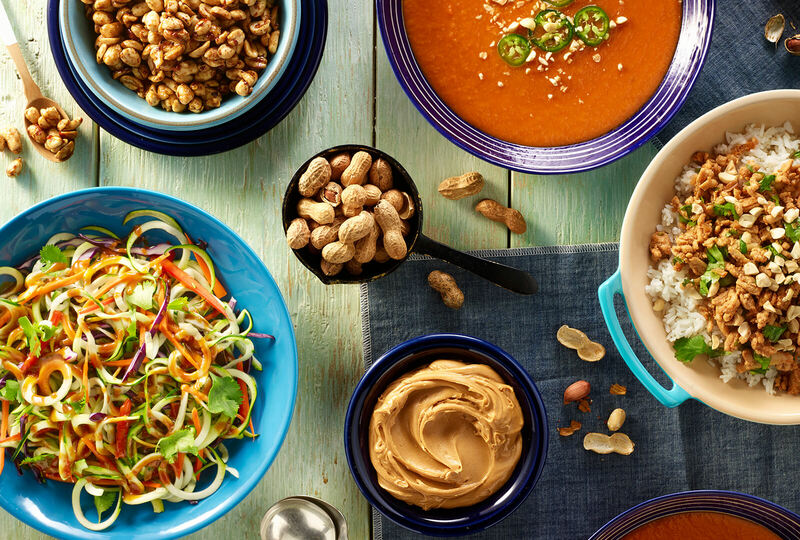 Soup, salad, stir-fry & snacks, we’ve collected four savory ideas to help you celebrate Peanut Lover’s Month. In small bowl, combine peanut butter and next 4 ingredients; set aside. In large bowl, combine zucchini and remaining ingredients. 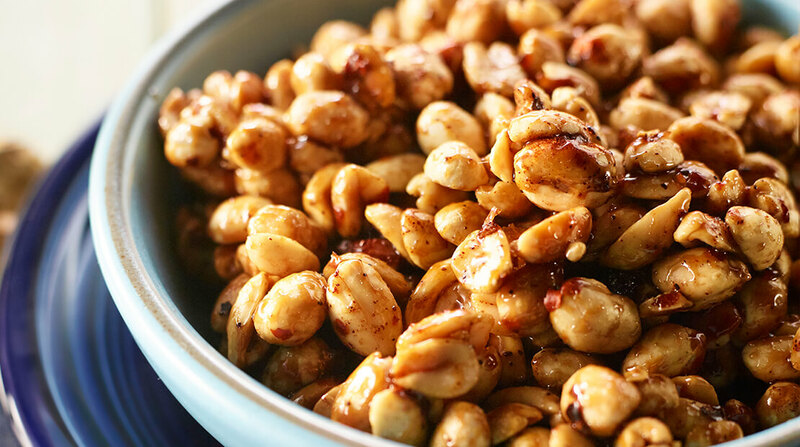 Toss with peanut sauce and garnish with chopped roasted peanuts, if desired. Spread peanuts in a single layer in a baking pan. In small pan, heat soy sauce, brown sugar and water over medium heat. 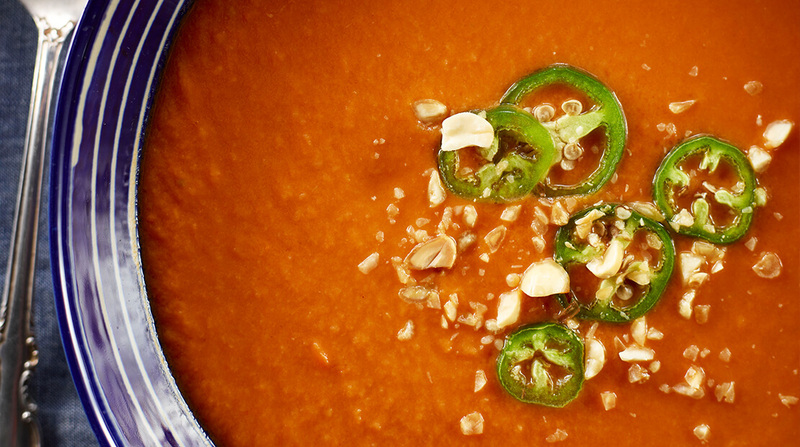 Bring mixture to a boil; reduce heat and simmer 2 to 3 minutes or until mixture has thickened slightly. Pour hot mixture over peanuts and stir quickly to coat. Let stand 15 minutes. Sprinkle with desired amount of cayenne pepper. In large skillet over medium heat, heat oil and cook turkey, onion and garlic until turkey is cooked through and onion is translucent. Always cook to well-done, 165°F as measured by a meat thermometer. 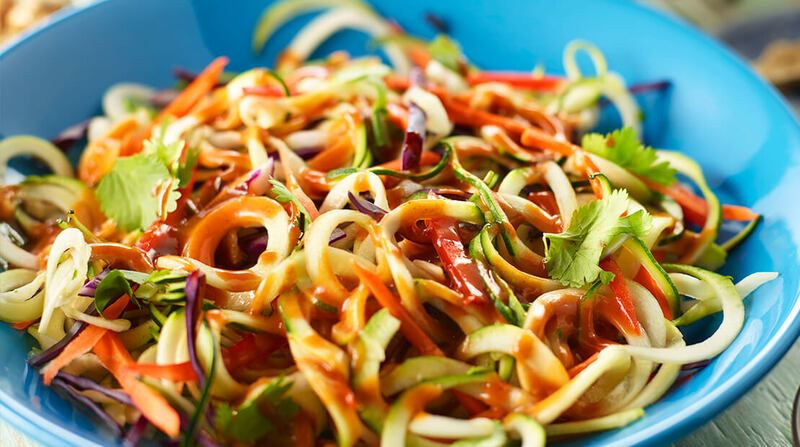 Stir in soy sauce and next 3 ingredients. Cook until heated through. Serve over hot cooked rice. In large Dutch oven, over medium heat, cook sweet potato, carrot and onion in oil, 10 minutes. Add garlic and jalapeño and cook 2 minutes or until fragrant. Stir in tomato paste and ginger and cook 2 minutes more. Add tomatoes and remaining ingredients. Bring mixture to a boil; reduce heat and simmer 30 minutes, covered. 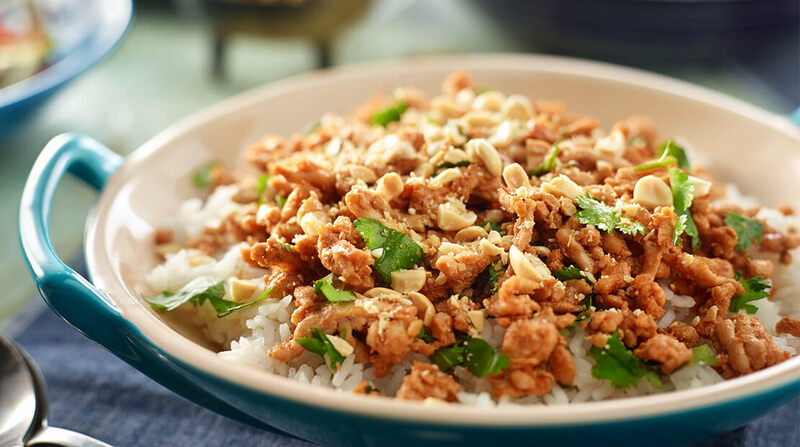 Garnish with cilantro and chopped peanuts, if desired.